How many of you remember the Malaysian based regional music magazine, JUNK? Or the Klang Valley targeted magazine KLUE? Or know the fashion site Tongue in Chic? If any of the names sends flutters of sparks to your neurons, then you'll probably be aware of the small indie shows its publisher, Freeform Publications Sdn. Bhd. 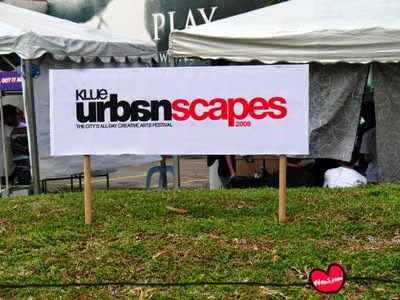 used to also host under it's 'Junk By Demand' series, which eventually paved the way for the ultimate local hipster festival (as some would call it), Urbanscapes! 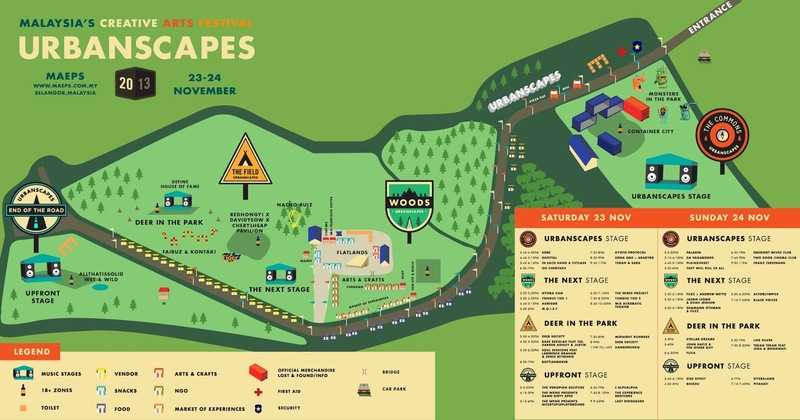 We're pretty sure Urbanscapes is 90% responsible for flourishing the hipster side of our community with the fedoras and flowerbands clad music-lovin-nature-huggin folks that come out to play in full force every year since 2002. Promoting art, food and music at a certified ‘instragrammable’ venue each year, the festival is even welcomed by the Malaysia's Tourism Board as it promotes the local creative scene alongside selected international ones, giving the festival a very localised base, but also an international standard of festival feel and experience in promoting all sorts of creative arts. The festival or rather at that point, an 'only-in-the-know' festival, started small in 2002 with a modest number of local acts at Bukit Bintang's Grappa Soho. Making its return in 2004, only then could one see the beginnings of an actual arts festival taking place at KL Sentral, before it finally found its niche and ambience space at the Kuala Lumpur Performing Arts Centre from 2008 to 2010, as it refined its potential at the Padang Astaka, Petaling Jaya in 2011 and 2012 as 'the city's all day creative arts festival' before relocating again this year to the Horse Ranch, Resorts World Genting. 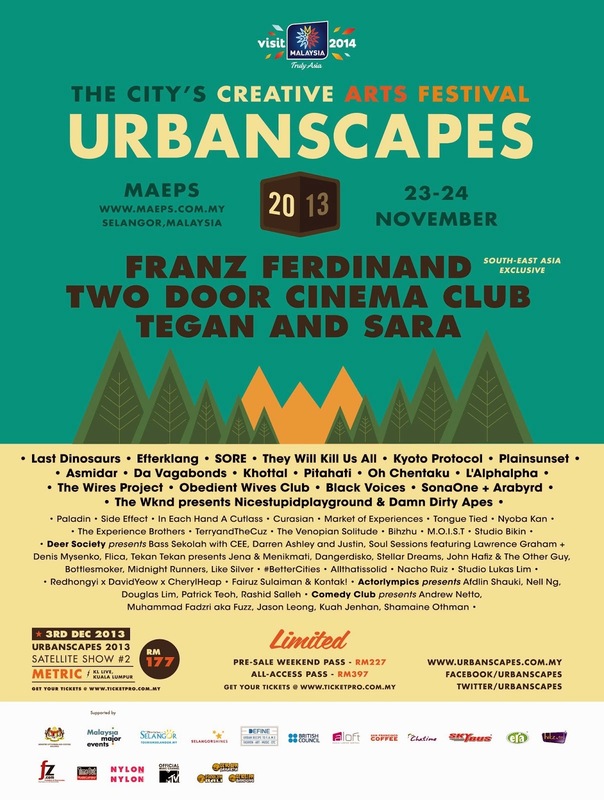 And bigger and better is what Urbanscapes got in 2008! Based on our years of attending Urbanscapes, we would say that this is where all the ala-Woodstock hippie festival vibes really came forth. With a location as beautiful as the Kuala Lumpur Performing Arts Centre (KLPAC), surrounded by trees and grass greener than green kryptonite, who could blame anyone in basking in the best of what nature and the local arts scene has to offer? Held on the 28th of July 2008, admission tickets to the one-day festival ranged from RM25 to RM35 depending on how early you got your tickets. Keeping it local again, performers for the year saw OAG returning with Auburn, Estranged, Estrella, Love Me Butch, One Buck Short, The Times and more. 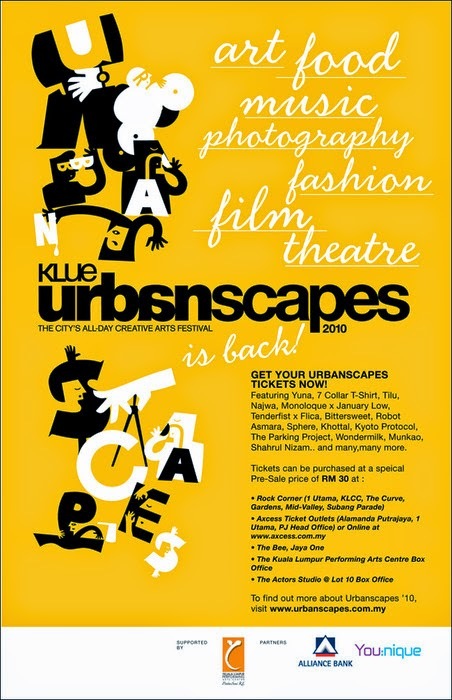 Settling in at the KLPAC in its second year, Urbanscapes returned on the 27th June 2009. 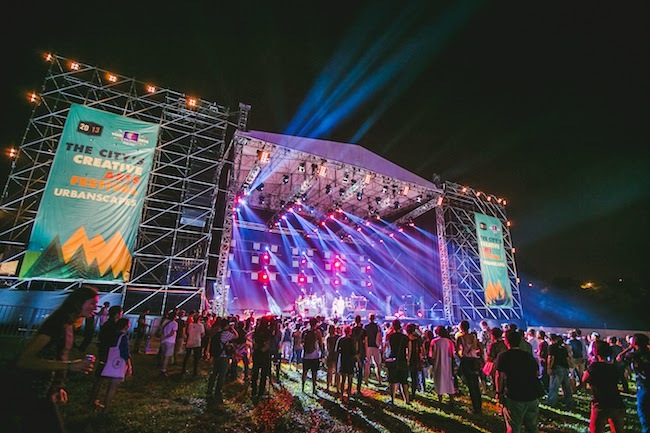 The list of local performers for the year also grew more extensive and the fest brought in acts like, Pop Shuvit, Damn Dirty Apes, Prema Yin, Yuna, Gerhana Ska Cinta, Couple and more. Also this was the year where the global H1NI virus struck, and of course, the festival didn't escape a bit of a scare too. 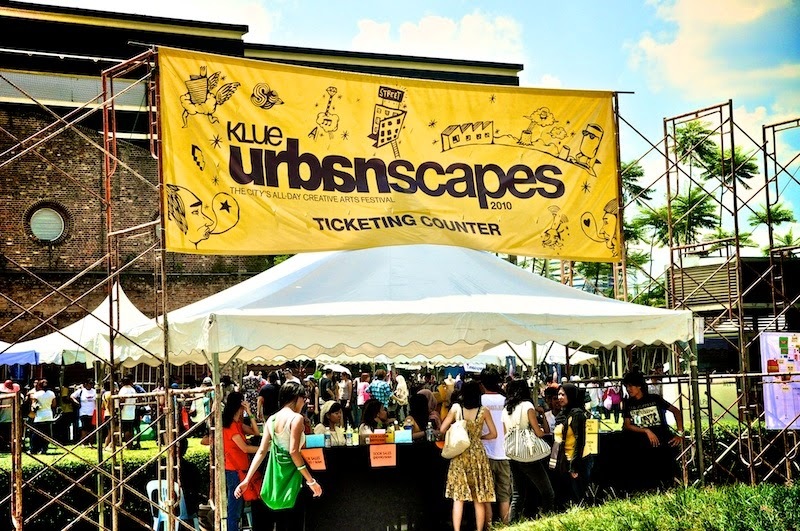 The third and final time Urbanscapes was held at KLPAC was on the 26th June 2010 with a wider scope of vendors and an even bigger net of performers, but luckily the ticket prices never strayed from the usual RM30 rate set by previous years. 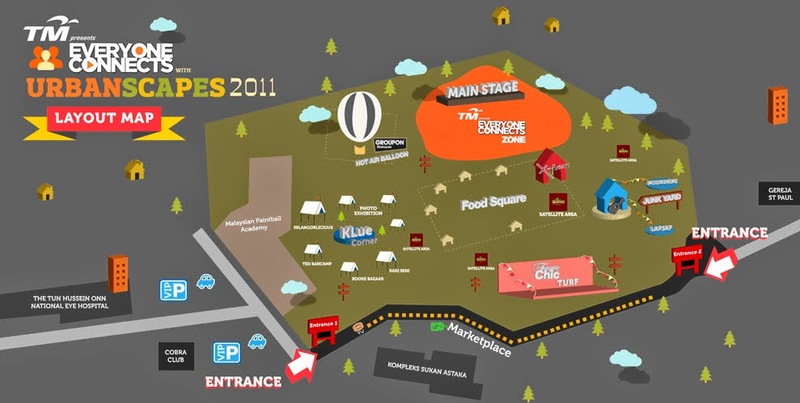 2010 saw to returning acts as well as some local new ones; Yuna, 7 Collar T-Shirt, Najwa, Bittersweet and more. 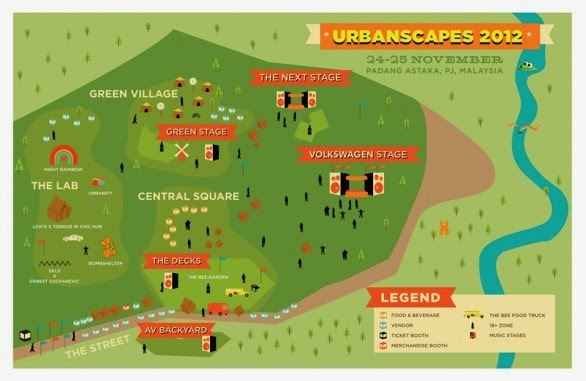 Moving on to a bigger venue at the heart of Petaling Jaya, Urbanscapes was relocated to Padang Astaka. The 16th July festival still retained its local festival vibe and managed to pull in its biggest crowd yet with more stages, more art and crafts vendors and food. 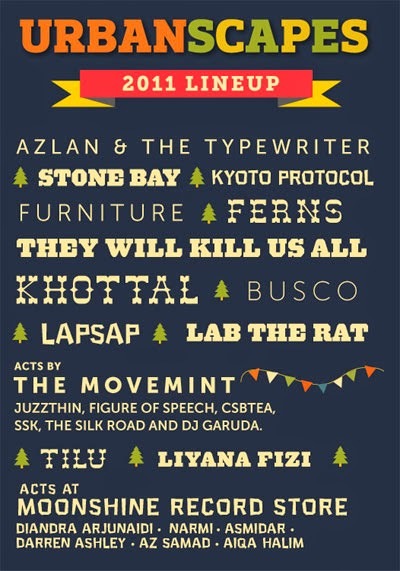 With tickets priced between RM25 to RM40 depending on how early you got them, the festival featured local acts; They Will Kill Us All, Azlan and the Typewriter, Busco, Liyina Fizi, AZ Samad, Kyoto Protocol, Stonebay and Lapsap, among others. Settling in P.J. 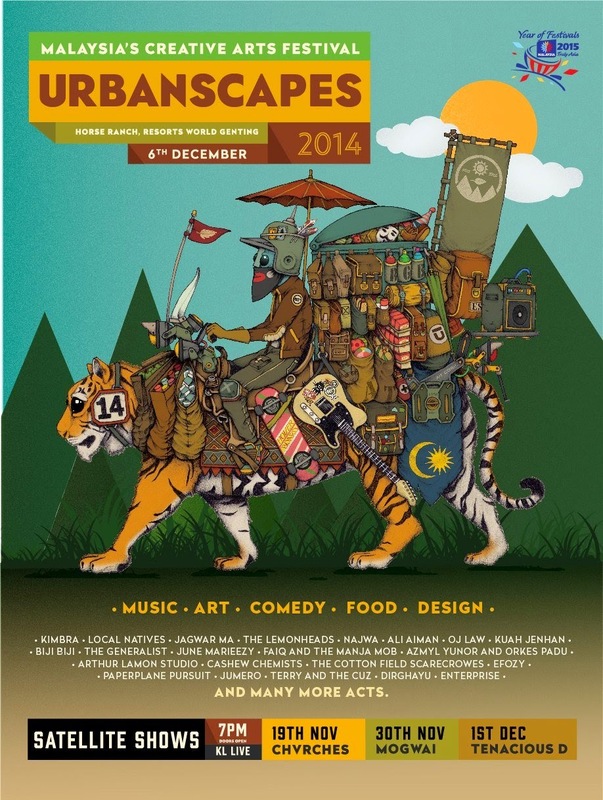 in its tenth year since its inception, Urbanscapes celebrated its anniversary with a bang! 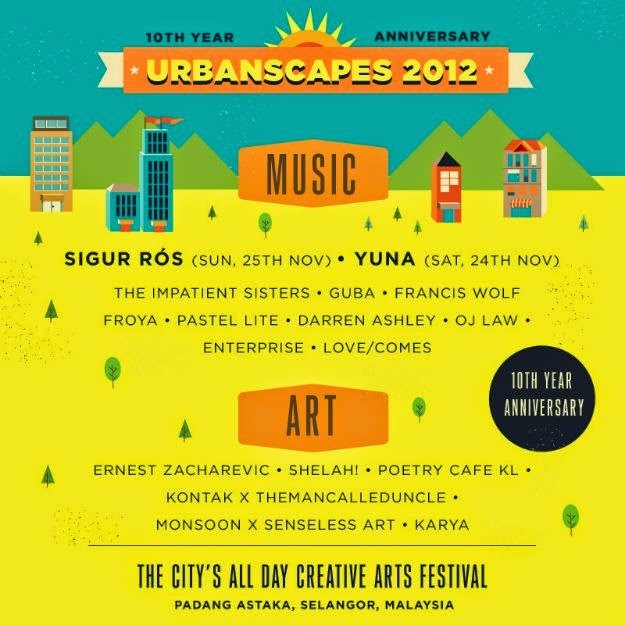 With tickets priced at RM200 plus, the 'city's all day creative arts festival' expanded from a single day event to a two day festival across 24 and 25 November 2012. 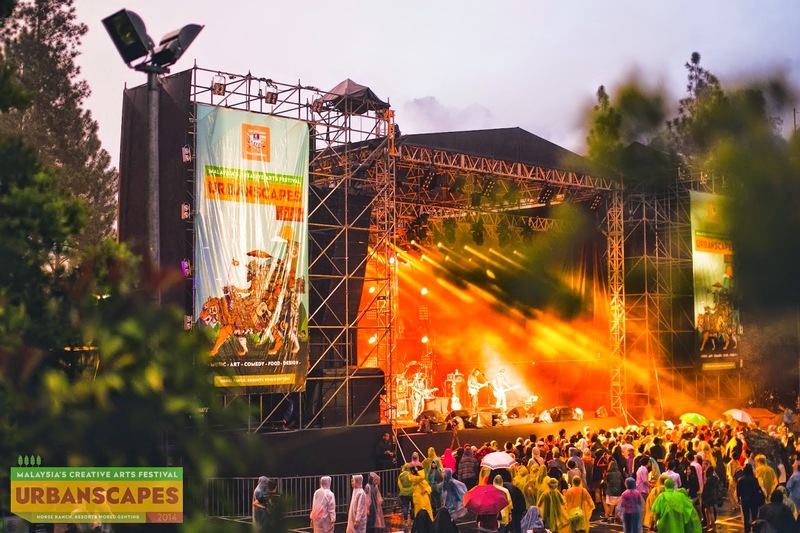 Held once again at Padang Astaka, Urbanscapes brought in international acts too this time, with Icelandic band, Sigur Ros being the cherry on top of the festival for a mesmerising closing performance. On the local end, Sheila Majid delivered a nostalgic show, while Yuna returned once again, to perform her first homecoming concert since making it big internationally. On the visual arts end, Penang mural artist, Ernest Zacharevic was at the festival too, to showcase his work. Of course, this is also when the whole wellington boots trend came about as festivalgoers traded in their converses to easily navigate through the muddy grounds when the first day of the festival rained and turned the field into a muddy slosh. Oh, but there was fireworks to compensate on the final night, so it was all good! 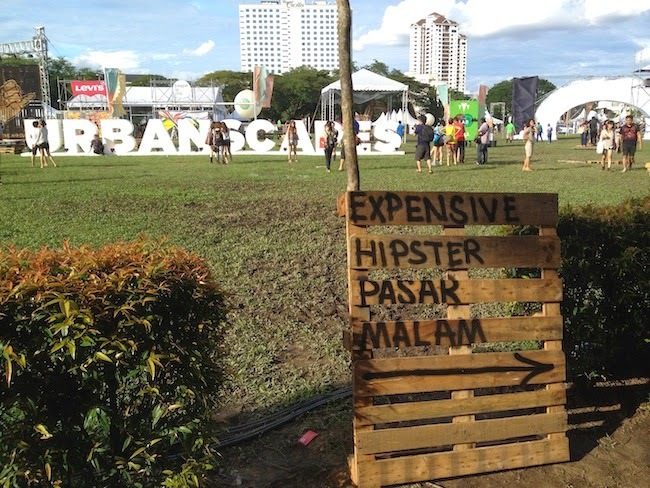 Gaining a bigger following and an international crowd too, Urbanscapes relocated to the Malaysia Agro Exposition Park (MAEPS, Serdang) but this time with tips for festival goers to come prepared with proper attire (maintain that hipster vibe) and their boots! With international acts like Tegan and Sara and Franz Ferdinand (despite Two Door Cinema Club cancelling their spot) the year was a good one, once again spreading out across two festival days; 23 and 24 November 2013. 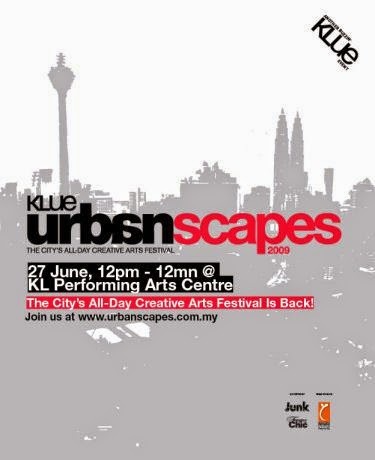 This was also the year where satellite shows at KL Live at Life Centre, KL were introduced to build up the festival hype with bands, Metric, Explosions in the Sky and Mew before the main festival was held. 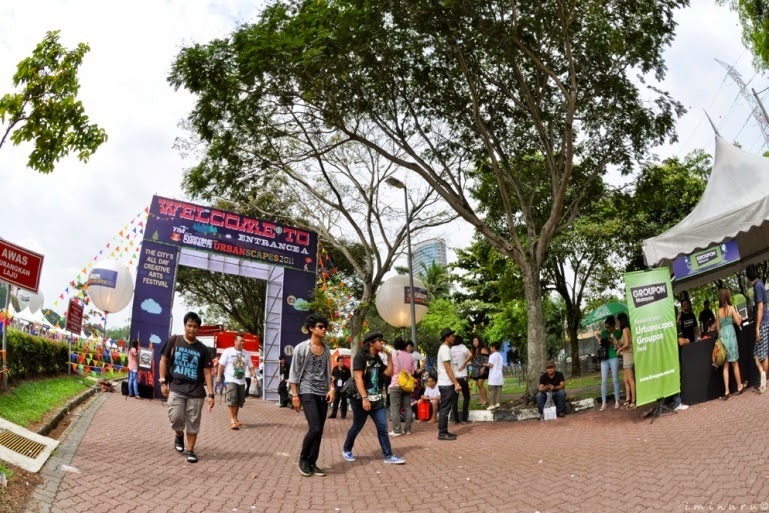 To attend the main festival and the two satellite shows, an all-access pass of RM397 was offered apart from the individual satellite show passes and the main event weekend passes. The only off-putting thing about the festival wasn't the festival itself, but the next day after the fun when festival-goers reported weird rashes on their hands, legs and any other body parts (yikes!) that had contact with the grass. Apparently, the MAEPS grounds are home to quite a number of harmless yet itch-inducing caterpillars! 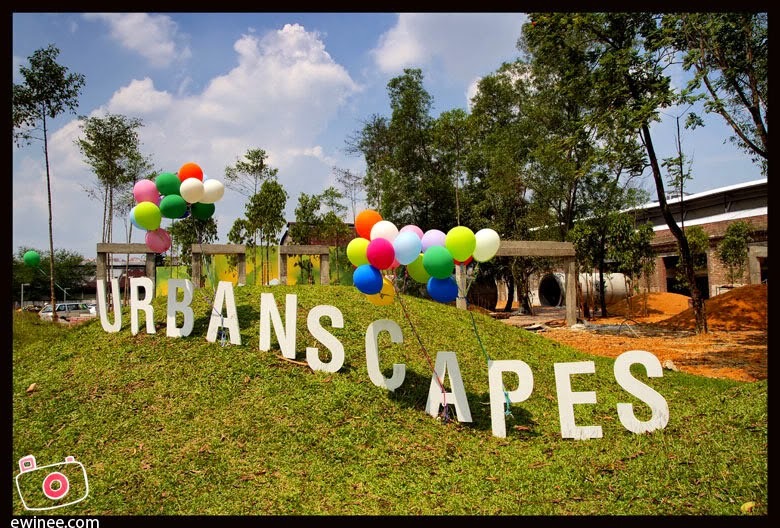 Moving on to greater heights (literally), the 2014 Urbanscapes edition was held at the wide open space of Horse Ranch, Resorts World Genting, to presumably avoid another rash re-hash. 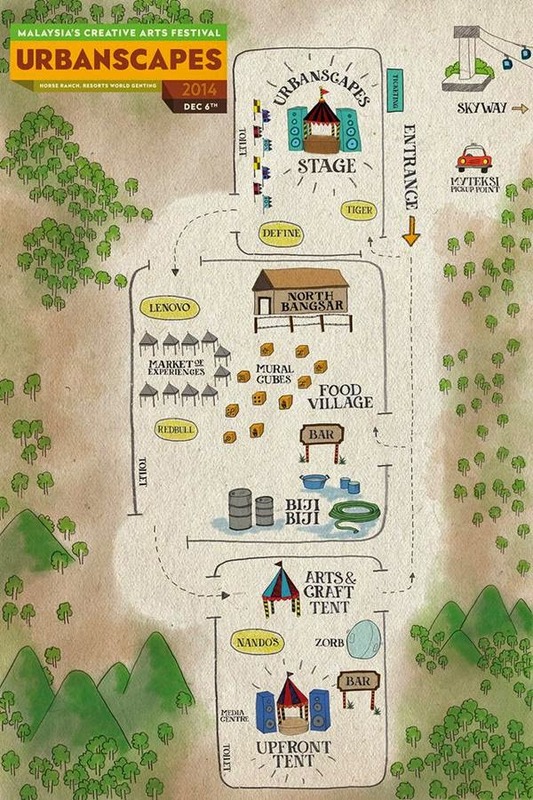 With a venue that is cooler in temperature and with cleaner air to boost, festivalgoers seem to favour the Horse Ranch over other past venues. However, there is that whole matter of travelling distance and accommodation to sort out, which some also complained about. Reverting back to its 1-day festival, this year had quite the impressive satellite shows that seem to upstage the main event day itself. 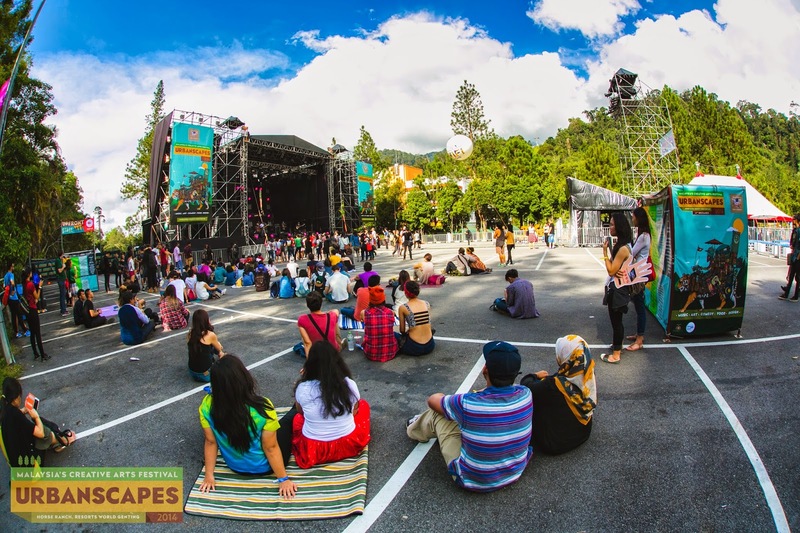 International acts like Mogwai, Chvrches and Tenacious D played at KL Live a few days before the main festival on 6th December, which saw to performances by Kimbra, Jagwar Ma, Local Natives and local sets by Najwa, Paperplane Pursuit and more!